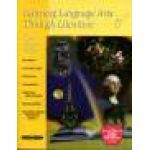 Learning Language Arts Through Literature is always discounted at Schoolhouse Publishing Homeschool Store! Learning Language Arts Through Literature is a fully integrated language arts program that teaches grammar, reading, spelling, vocabulary, writing mechanics, creative writing, thinking skills and more. For example, a basal program may teach adjectives separately from other skills. The student may be asked to fill in blanks with adjectives and circle them in a paragraph. This may give your student a clue about adjectives, but does not translate into his practical use of adjectives in his writing. In LLATL, your student may read literature passages that use adjectives. He may be asked to read the passage without the adjectives and decide how important they are to the understanding of a story. Another activity may include writing a descriptive sentence/paragraph about a picture using adjectives or rewriting the passage using different adjectives. These activities not only teach language arts skills in addition to adjectives, but your student will incorporate the skills into his everyday writing. Real books are used in the reading lessons, complete with vocabulary words, discussion questions and a variety of activities. Reading real books instead of basal stories makes reading a joy and the beginning of a lifelong adventure for your student. All levels are written for a 36 week school year. 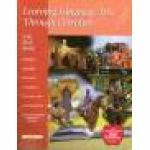 Grades 1- 9 include a Teacher’s Book written in a conversational format making it easy to use with little or no preparation time for the teacher. Student Activity Books are available for the 1st - 8th grade. All levels include review activities and assessments. 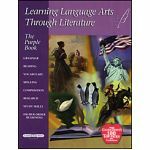 What I like: I used this program for a number of years, and my boys loved the stories (literature selections), and the creative writing projects were actually manageable for them. For those of you trying to teach creative writing to boys, you'll understand how this is actually a "glowing" review! Please note that this program does require some interaction from you, the teacher. You will be reading a dictation passage to your student each day. I personally love being involved in my children's education, so I see this as a plus. 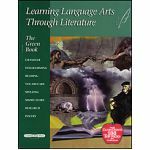 Learning Language Arts Through Literature has proven itself over decades of use by homeschoolers. My sons, who used it in 2-5 grades, are now college graduates. A timeless, and delightful language arts program - one of my favorites!